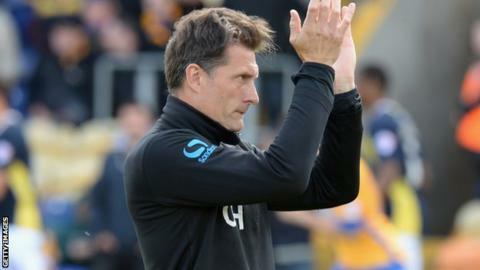 Torquay United boss Chris Hargreaves has transfer listed six experienced players after the club was relegated from the Football League. Dale Tonge, Jordan Chapell, Aaron Downes, Nathan Craig, Karl Hawley and Shaun Cooper were all midway through deals which run until June 2015. Craig is the longest-serving member of the group, having under Martin Ling. Tonge, Chapell and Hawley were signed by Alan Knill last summer. Downes while Cooper was brought in as a free agent by Hargreaves earlier this year. "I feel that these lads are not in my plans going forward and I don't want to stand in their way, so the easiest way to gauge interest is by putting them on the transfer list," Hargreaves told the club website.